Discussion in 'Transformers News and Rumors' started by TransformersVK, Sep 24, 2018. I can't get over how awesome Blitzwing looks. Still can't get over the fact that G1 aesthetic on Cybertron looks very out of place. Thank you. I'm not alone. Was hoping Cybertron had an atmospheric Bladerunner feel to it. The triple changers were awesome. Looks like the decepticons are tricking the humans again saying Bee is the criminal. Oh this trailer is different from the one I saw on twitter from the official account. It's hard due to the motion of it running. I hope the english version comes out soon. So much better than the one from 5 mins ago LOL!!!! 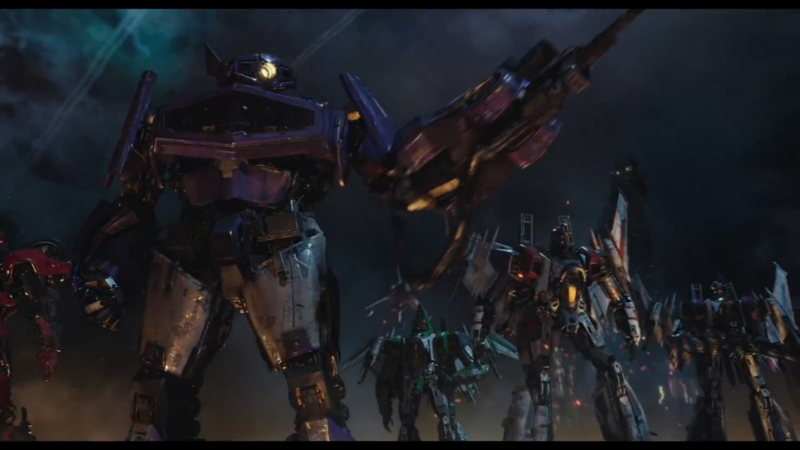 Don\'t think Blitzwing is going to be a triple changer. His robot mode is an Earth altered version of starscream from the 2nd trailer, so i think hes a seaker instead. Here's the Chinese version of the same Trailer but it's in English! It's almost like they're bothering to give the Decepticons besides Megatron some personality for once! I'm excited for this movie now.